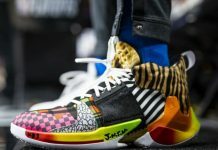 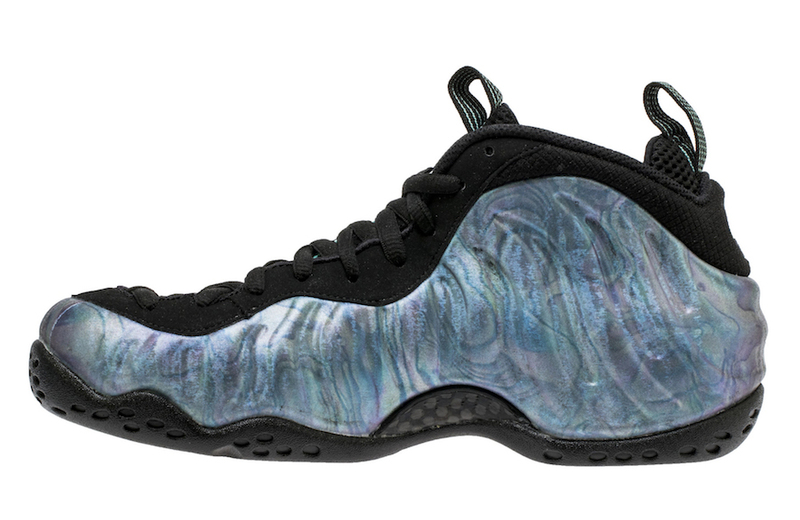 Nike Sportswear introduces 2018 with a multi-colored aurora rendition to the Air Foamposite One PRM silhouette for the month of January. 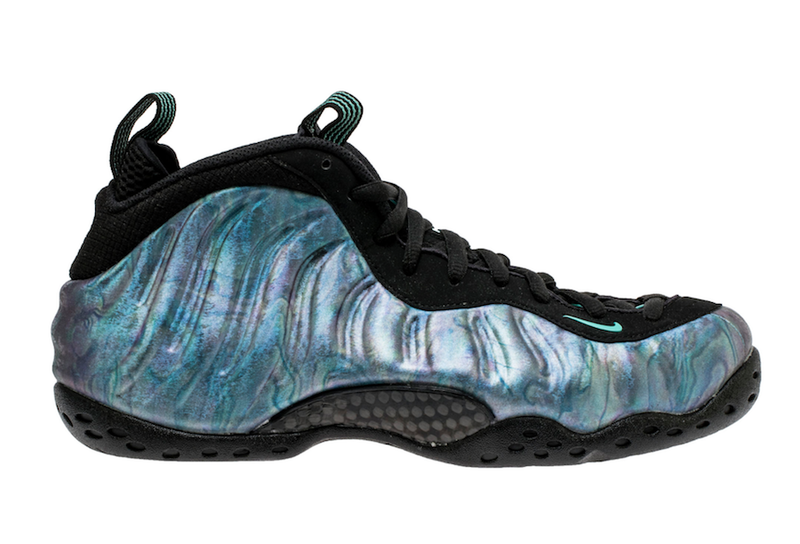 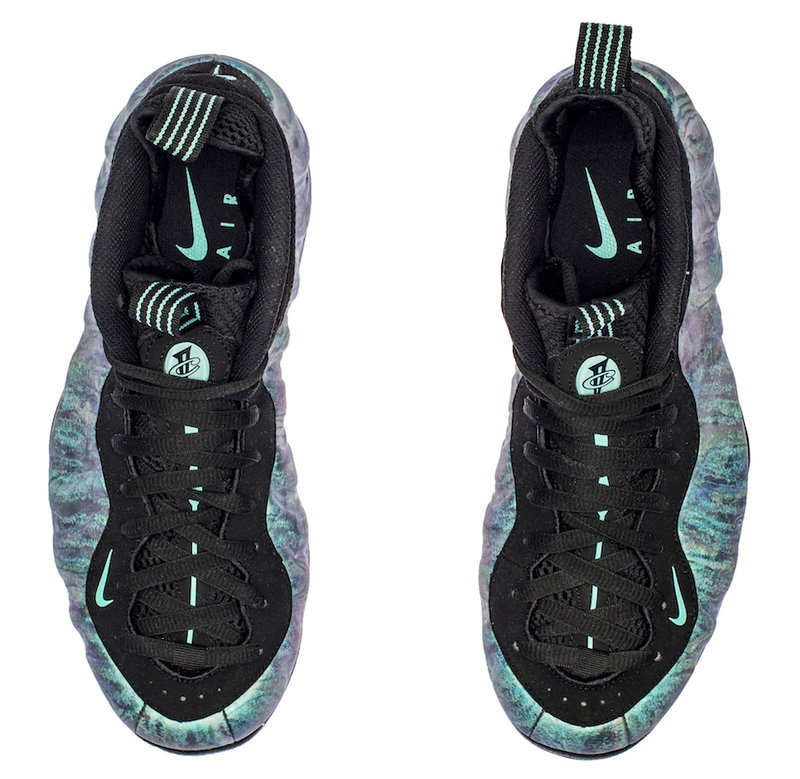 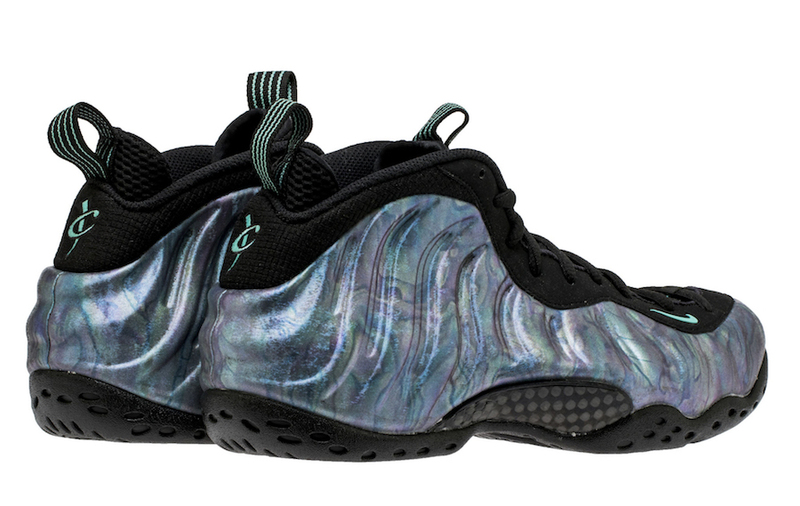 Inspired by the Abalone sea snail’s shell, the Nike Air Foamposite One PRM “Abalone” features an iridescent multi-color outer foam shell with a black upper, teal accents and carbon fiber mid-foot. 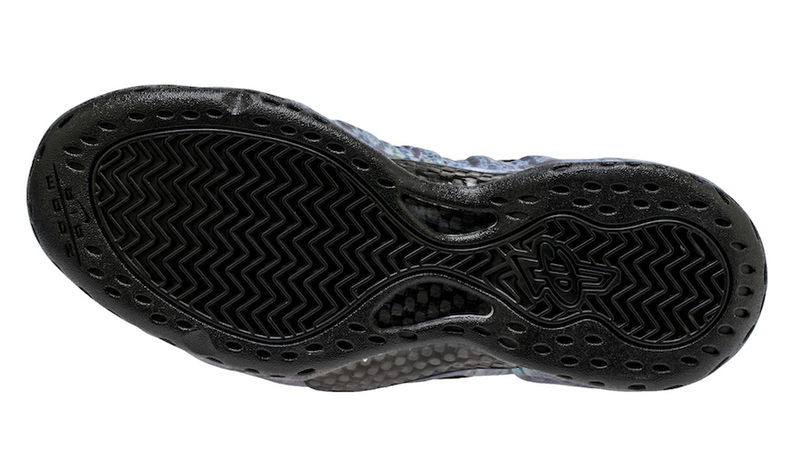 The silhouette also features teal branding on the penny logo and swoosh, and a black rubber outsole. 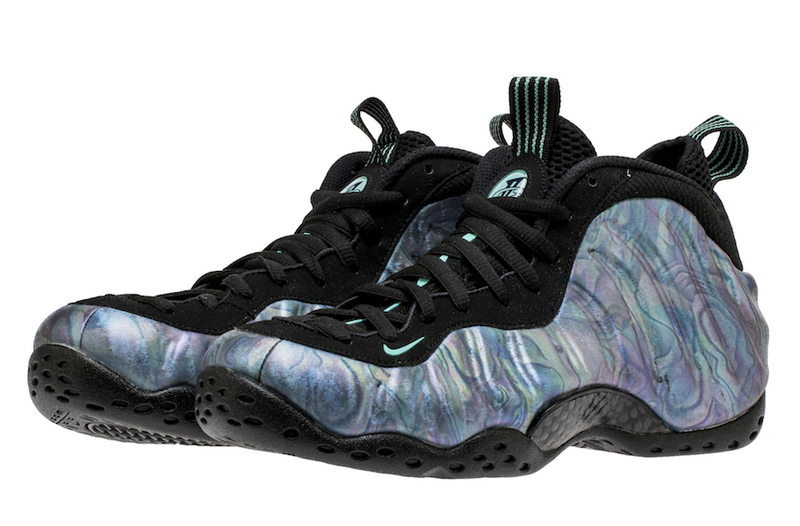 The release date for the Nike Air Foamposite One PRM “Abalone” has been set for January 20th and will release at select Nike Sportswear retailers.